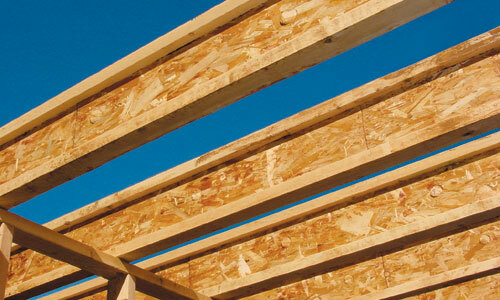 LP SOLIDSTART I-JOISTS | International Wood Products, LLC. LP® SolidStart® I-Joists are more versatile than open web floor trusses and more uniform and dimensionally stable than lumber. Wider flanges ensure that the floors you build are sturdy and stable. I-Joists can be trimmed on-site, and long lengths allow ceilings and floors to be designed with fewer pieces, saving installation time. LPI 18 9-1/2", 11-7/8 "
LPI 20 9-1/2", 11-7/8 ", 14"
LPI 32 9-1/2", 11-7/8 ", 14", 16"
LPI 36 11-7/8 ", 14"
LPI 56 11-7/8 ", 14", 16"